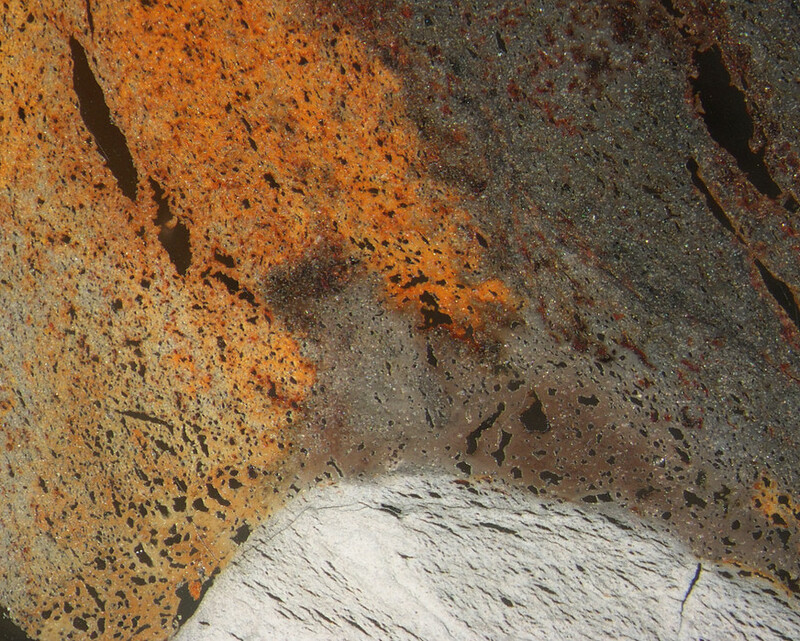 Buchite: Mineral information, data and localities. Buchite is named for German mineralogist Baron Christian L. von Buch, who died in 1853. A compact, vesicular or slaggy metamorphic rock of any composition containing more than 20% vol. of glass, either produced by contact metamorphism in volcanic to subvolcanic settings or generated by combustion metamorphism. An uncommon metamorphic rock type composed mostly of glass, formed by the melting of a sedimentary rock or soil by heat from an adjacent lava flow or scoria eruption, or the burning of an underground coal bed. 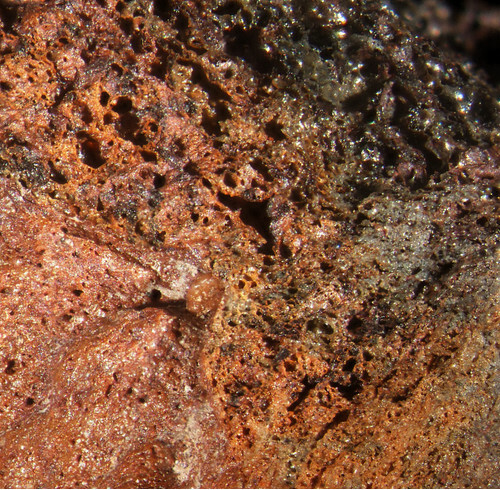 Buchite is a product of a special type of metamorphism, called pyrometamorphism (contact type, high to very high temperature, low pressure, often connected with coal fires). Buchites are often confused with obsidian, which is a volcanic glass rather than metamorphic glass. The so-called para-obsidian is a buchite with small amounts of mullite and tridymite forming microlites. Rarely, buchites can be colorful and transparent, and faceted as gemstones, as for example a few blue-green gems from the Eifel hills in Germany. The primary description of buchite is a transformed or glassy sandstones associated with basalts (in Germany). Now the term concerns also other pelitic rocks. 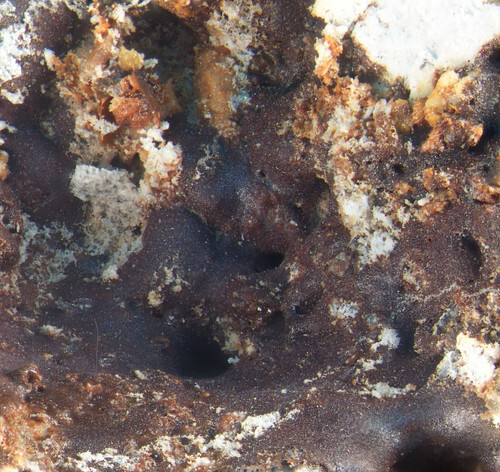 The first described buchite contained relic, cracked quartz with tridymite overgrowths and inclusions, feathery or needle-like clinopyroxene, magnetite trychites, rectangular and hexagonal sections of cordierite crystals, tiny crystals of a spinel, small voids, pores interfilled with goethite and brown glass. According to Grapes (2006), buchite also occurs as xenoliths and within contact aureoles. Glass An amorphous, homogeneous material with a random liquid-like structure generally formed due to rapid cooling. Feldspar > Alkali Feldspar > K Feldspar Potassium-dominant feldspars with unknown crystal symmetry and Al-Si ordering state.